These lemon bars remind me of my childhood. When I was a kid, you could find my mom in the kitchen on Saturday afternoons usually baking a variety of desserts. A lot of times she would be baking bars for our family. 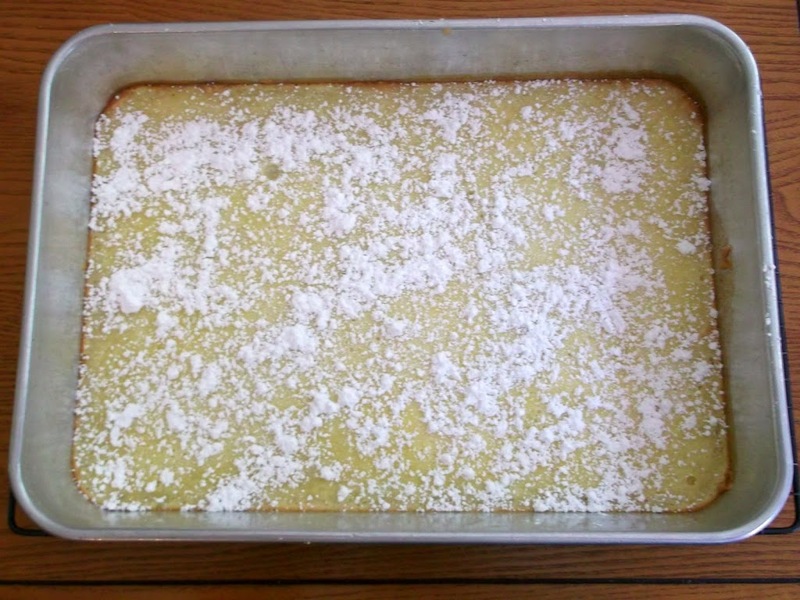 Lemon bars were one of the favorites in our house. To be truthful I am not sure if I have ever made my mom’s recipe for lemon bars, but I do remember how yummy they were. 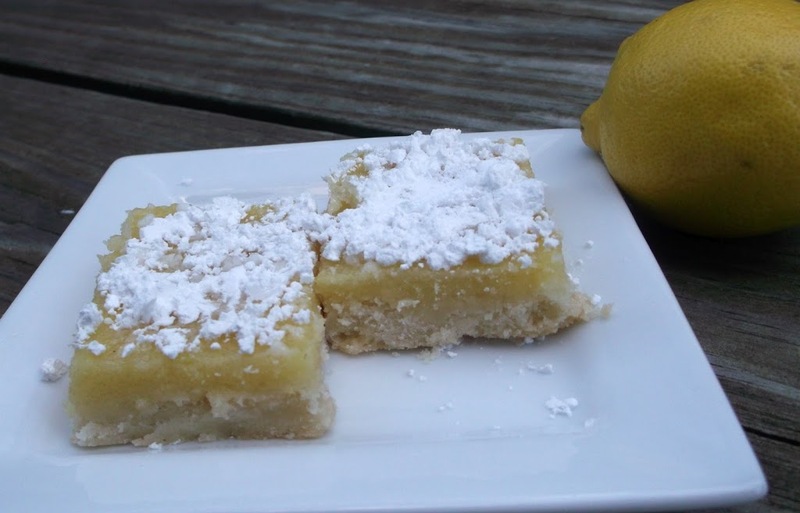 Last weekend I had a couple of lemons in the refrigerator and that got me thinking of lemon bars. I do not have my mom’s recipe, but the recipe I found sounded very tasty, so I decided to go with the one that I found on the web. This recipe is so simple and the results are something that will make your taste buds smile. The crust is sweet and crumbly and then comes the lemon filling which is nice and tangy, topped with a bit of sweet confectioners’ sugar. Can’t get much better than this, so yummy. 2. Mix 2 cups of flour and confectioners’ sugar together. Cut in the butter. Mix well until the dough resembles pie dough consistency. Press the dough into a 9×13 inch baking pan. 4. Beat together eggs, sugar, 1/4 cup flour, lemon juice, and lemon zest for at least one minute. Pour mixture over the baked crust. 5. Bake the bars another 20 minutes, or until the lemon topping has set. Sprinkle with confectioners’ sugar when cool. Mmmmmm, my all time favorite snack/dessert/breakfast! I’ve NEVER baked lemon bars! What a shame because I love lemon desserts and these are pretty terrific looking! I love lemon, and bars are the best. I’ll have to share your recipe with Mrs K R – she’s the real baker. Good stuff – thanks. I love tangy lemon desserts, and these bars look great! This makes me want to bake with lemon soon. 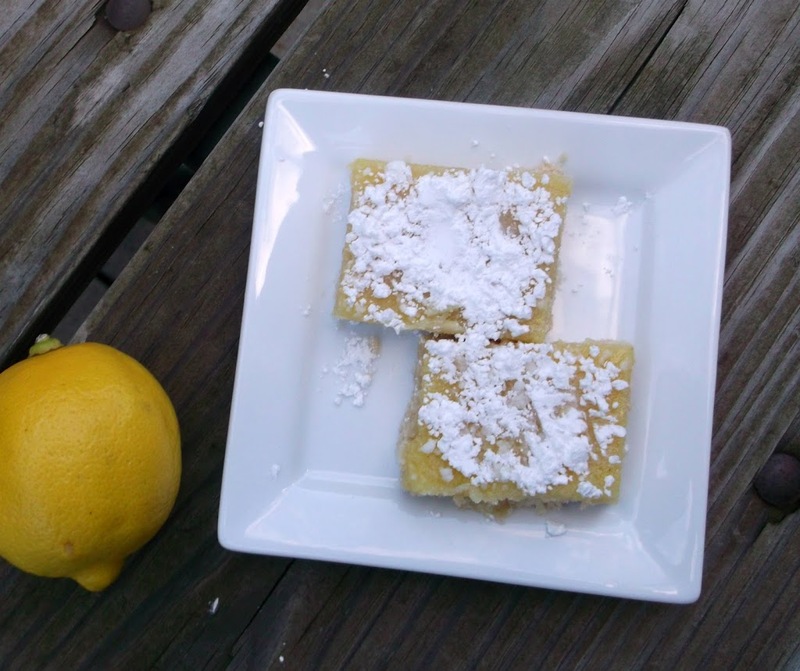 My hubby loves lemon bars and I’m still searching for the ultimate recipe. Your bars look wonderful…I hope to bake a batch soon! Lemon bars are always yummy. I just made a lemon pie. It’s almost baking time, now that is is cooling off. I am your newest follower via Facebook and GFC. Come on by to say hello and follow along. I could eat WAY too many of those beauties. They look and sound amazing.